Newly established Yale-NUS sees two countries, cultures and universities collaborating to provide a world-class liberal arts education in Singapore. After 9 years as Director of the Nonfiction Writing Program at The University of Iowa, Robin Hemley is now Writer-in-Residence and Director of the Writing Program at Yale-NUS. 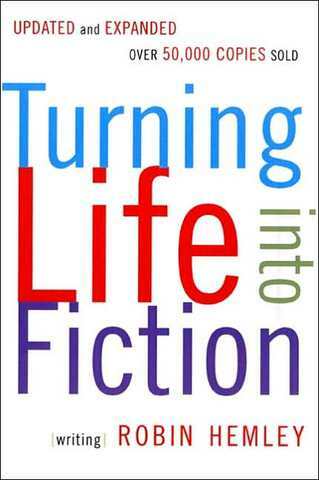 Robin’s own work includes Turning Life into Fiction, an in-depth guide to converting real life into good storytelling. The book covers a wide range of subjects, including how to record and generate ideas from daily life and how to write effectively using true anecdotes, real places, and real people. I interviewed him via e-mail. What are the aims and ambitions of the Yale-NUS creative writing program? How far are you meeting them? We/I are starting off modestly. At the moment, I AM the creative writing program. I’ve taught for 25 years in various programs and have been a program builder at all of these places. I very much consider myself a world citizen and have spent my career building community and trying to build bridges between writers across boundaries. When I directed the Nonfiction Writing Program at The University of Iowa, I founded an international conference, NonfictioNOW, and brought writers from around the world to Iowa, then took the conference last time to Melbourne, Australia. I’ve spent much of the last fifteen years giving writing workshops all over the world, from Fiji to the Philippines, and it’s always been my passion to bring writers together. My father and mother were both translators of the Nobel Laureate Isaac Bashevis Singer, and while I’m not a translator, I, too, have a drive to create audiences for writers across national boundaries. This is what I hope to continue at Yale-NUS, in Singapore, and in the region, a continuation of something I’ve been doing for years. This is a personal ambition. Regarding my ambitions for the program, let’s wait and see. I hope first to create creative writing offerings and opportunities for the students and faculty of Yale-NUS, and beyond that, I hope to forge alliances with other organisations that promote contemporary world literature, and see where that takes us. Where do the faculty come from? Asia? The West? Do you think it matters? As I said, I’m the faculty in creative writing at the moment. I was born in New York, but I’ve lived in various places around the world, and I consider the Philippines my second home. My wife is from the Philippines and I have many friends and family members there. The Writers’ Centre at Yale-NUS, which I direct, has already started a reading series which brings writers from around the world and from around the region to Singapore. This year, we’ve brought Pico Iyer, Gina Apostol, and Arvind Mehrotra, and Alvin Pang, to name a few, to campus, and Alvin will be teaching a poetry course for us next year. In the future, I hope to bring visiting distinguished writers from around the world and region to teach for periods from a semester to a year. So, yes, it matters. Diversity matters, and not only diversity of national origin and ethnicity, but diversity in terms of the traditions these writers represent and the various forms in which they practice. The language of tuition is English. Do you think that matters? If so, why? If not, why not? I’m not sure I understand this question. I don’t know what you mean by “the language of tuition.” The language of tuition, as far as I can see, is the Singapore dollar. Where do the students come from? Only from Singapore? From all over Asia? All over the world? The students come from all over the world. 60% are Singaporean, and some are dual citizens. I believe the students come from seventy different countries and six continents. A son or daughter going into writing is a nightmare scenario for Asian parents. Agree? Disagree? Would you ever attempt to change the mind of a tiger mother who was distraught her child wanted to make a career out of writing? What, if anything, would you say to try to win her over? I don’t necessarily disagree, but I also don’t think that Asian mothers are unique in this respect. I’d say in most places in the world, parents worry about children who go into the arts. But I also think that people who go into the arts tend to be remarkably strong people who can’t even be dissuaded by tiger mothers. Somehow, we do have artists and writers in the world, and many great ones come from Asia. Think of all the great writers and artists from India and China. Certainly, some of them had to rebel against parents who didn’t want their children to waste their lives as artists. But I’m not a proselytiser and I don’t see it as my role to intervene between a tiger mom (or dad) and her child. I wouldn’t want my child to become an economist, and if I argued with my child about this, and said, “Why do you want to waste your life as an economist?” I wouldn’t expect her economics prof (spawn of the devil, no doubt) to try to talk me out of my opposition. Why should I be any different? If she truly wanted to become an economist, I imagine she’d find a way with or without my approval, and that would be the first test of her commitment to her chosen field. If I were able to talk her out of being an economist and she instead followed the family tradition and became a writer, I’d say she probably didn’t want to be an economist all that much in the first place. I feel the same way about writers who must face the opposition of their parents to do what they want to do. Do you think writing can be called a profession? Of course it’s a profession, but only a tiny fraction of writers solely support themselves by their writing. The writer Lewis Hyde wrote an important book a couple of decades ago called The Gift, in which he argues that writing and art in general needs to be looked at as more than a commodity, but as a gift to society by the artist. We can’t judge art and say, a soft drink, by the same standards. Some artists make plenty of money in their lifetime from their writing and art, but they’re a rarity. The point is that art can’t be judged by how popular it is necessarily or by how much money it makes. Writing can be seen as a profession, certainly, but that’s not all it is. It’s an artistic pursuit. Do many of your Yale-NUS students want to set up shop as writers? Or are most of them doing this to fulfill an interest they don’t see lasting long beyond their student years? I wouldn’t want to generalise about my students or presume to know what they’re thinking at this point. Yale-NUS just started and my students are ALL Freshmen. I don’t think most people know what they want when they’re Freshmen. It’s not my job to recruit writers, to make tiger moms hate me for luring their children to the dark side. It’s my job to offer opportunities and to teach writing. What my students do with this is up to them. But I should add that I believe that people who learn how to express themselves imaginatively in writing are going to be able to use those same skills in whatever profession they go into. I’m not only teaching them how to write, but how to think creatively – or at least, I’m allowing them to think creatively – something that’s too often discouraged – and that’s something that will serve them well throughout their lives. If you have students who do want to set up as professional writers, do you feel honour bound to try to dissuade them? 1. If you want to write, you’ll write. 2. You probably won’t earn a living at it. But . . .
How do you feel about preparing students for a profession where most practitioners can expect to earn peanuts if they’re lucky, and nothing if they’re not? Do you ever worry creative writing courses are immoral, in producing a massive over supply of writers the world doesn’t need? Immoral? Are philosophy courses immoral? Are literature classes immoral? What’s immoral about learning how to write? I’d say it’s more immoral teaching people that art is frivolous and that you should only care about money. In fact, studies have shown that these immoral writers the world doesn’t need actually make people more compassionate and smarter: writing and reading both achieve this. The mistake, again, is to think that all writers need to make a living at writing just because they’ve taken a few college courses in it. Certainly, it would be immoral to tell someone they’re so talented that they should quit all their other studies and simply become poets, but who does that? I wouldn’t do such a thing, nor would anyone I know, but if someone comes to me and wants to learn something about writing, I’m happy to share everything I know. I should also add that I know a lot of writers. Most of them seem as happy as anyone I know and they lead fulfilling lives. At some point or another someone has tried to dissuade them from writing, I’m sure. My good friend Bret Lott was told by one graduate school teacher that he had made a mistake and that he should not become a writer (the teacher thought he was acting morally, I suppose). Bret went home to his wife dejected and told her what his teacher had said, and his wife, Melanie told him she wasn’t going to let him quit after they’d moved across the country to be there. Bret is now more famous than his teacher ever was – about fifteen years ago, Oprah picked one of Bret’s novels for her famous book club. Another friend of mine, the Hong Kong writer Xu Xi (a classmate of Bret’s as it turns out), took another route. After grad school, she worked for many years in the corporate world, mostly in Asia, before leaving it with enough earnings so she didn’t have to be too concerned with money. Meanwhile, she pursued her writing career and is now one of Hong Kong’s leading writers. In other words, there are many different routes to writing, none of them easy, but for some of us, absolutely fulfilling. There is no money in Asian Books Blog, and nobody ever gets paid to contribute, so, to be fair, I should ask if you in turn think I am immoral for asking writers to write for nothing? No. Actually, I’ve written on this subject. For free. There are some things we’re willing to write for free and some things we aren't willing to write for free. Joan Didion once said that if no one paid her to write, she would never write, but most of us aren’t Joan Didion. It’s certainly better if you can pay writers, but sometimes exposure is worth as much as money and sometimes we write for free because we believe the subject is important and we have thoughts on it. Do you think writing for the public for nothing can only ever be out of vanity? No, more often than not, it’s out of generosity, I think. When we speak, do we only speak out of vanity? Writing is a form of communication, and the reasons for communication are complex and myriad. There’s never one reason for it. What do you think about blogging / digital media / social networking etc., all of which increase writers’ freedom and ability to get their work out there, but undermine their ability to get paid? Do you think overall the trade-offs work for or against writers? And should anybody care, apart from writers? Not everyone writes to get paid, though sometimes it works out for writers, and most often it doesn’t. That’s no different from the way it’s been for centuries. Regardless of the media or platform, that’s not going to change. Anything else you want to say? Anything you think I should have asked, but didn’t? You should come to some of our readings. In fact, anyone reading this within shouting distance of Singapore should come to the readings. They’re open to the public. We don’t have our full slate of visitors set up for 2014/15 yet, but we’ll have the slate of readers available by June 2014 at the latest and people can email me directly to find out who is reading and when, if they’re interested. We’d gladly welcome the public to our readings and receptions.